It’s not uncommon to hear Reaper being mentioned in the same breath as heavyweight editing apps such as Pro Tools and Nuendo. 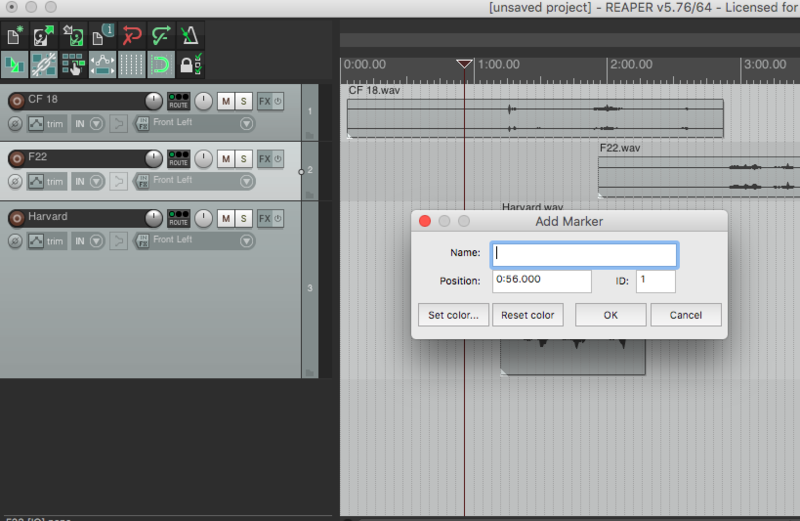 It’s a bit surprising since Reaper is just a fraction of the price of those popular digital audio workstations (DAWs). Experienced editors know the reason: Reaper is a robust editing app packed with every conceivable method of customizing your workflow. That unique blend of power and customization comes with a price, though: complexity. It’s easy to become lost in cascading menus, sprawling preferences windows, and deep lists of right-click options. If you’re just getting up and going, be sure to read out our article on getting up and running: The Reaper Quick Start Guide. Still, there’s a lot going on. This article is here to help and is designed with one goal in mind: help you organize and work with your clips more easily and quickly. Note: we list Mac commands below. Working on a PC? Substitute “control” anytime you see “command,” “alt” when you see “option,” and “start” (Windows) when you see “control. 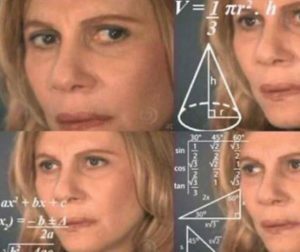 There are many ways to decipher Reaper’s complexity. This post focuses on a single approach: learning how to better organize and work with tracks you’ve already created with two simple features: markers and regions. Each of these has surprisingly powerful tools that will help you save time and wrangle your work with ease. 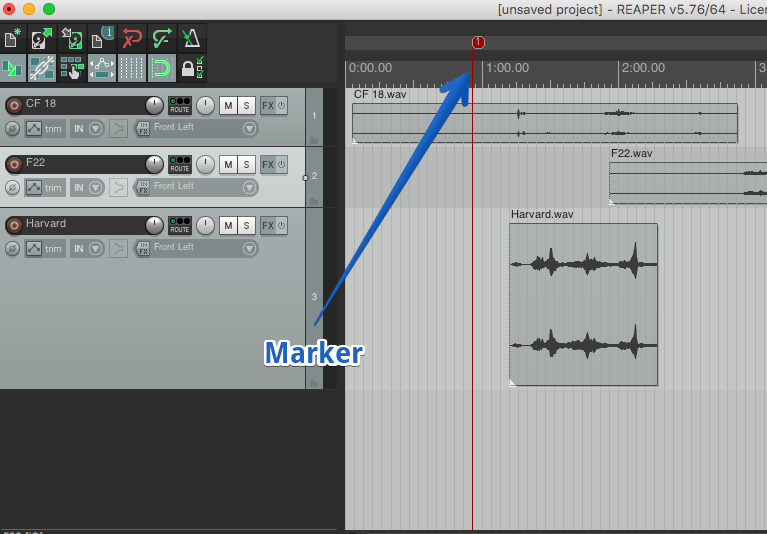 On the surface, markers are simply a way of labeling isolated points in your editing timeline. There’s much more to them, though. To add a marker, click on the timeline and choose the Insert/Marker menu item, or just press M. Alternatively, you can choose the Insert/Marker (prompt for name) menu item or type Shift-M to drop a marker with a bonus option: a window appears allowing you to name the marker, assign a color, or ID. You can add a marker while the playhead is stationary, or when playing back audio, too. This will drop a marker wherever the playhead happens to be at the time. You’ll see the marker appear above the editing timeline. Edit the marker by double-clicking it. You can change its name, color, or ID number. So, you could label it to note the precise time of a feature film explosion or give it a color to distinguish between sound fx, music cues, or dialogue events. You can change the position of the marker by click-holding it and dragging left or right. Remove it by clicking it while holding the Option key. Or, you can select a span across the timeline, right-click and choose Remove markers from selection to remove many of them at once. Now that you have some markers, what can you do with them? Jump between them by pressing the [ to move to the previous marker and ] to move to the next marker. Jump to any marker by pressing its ID number. So, if a marker’s ID is “3”, just press that number (not with the keypad, though). Select the span between two markers by either double-clicking the bottom of the timeline ruler or the space between the two markers on the marker bar. Use markers to help you move around your project or select parts of your timeline with ease. 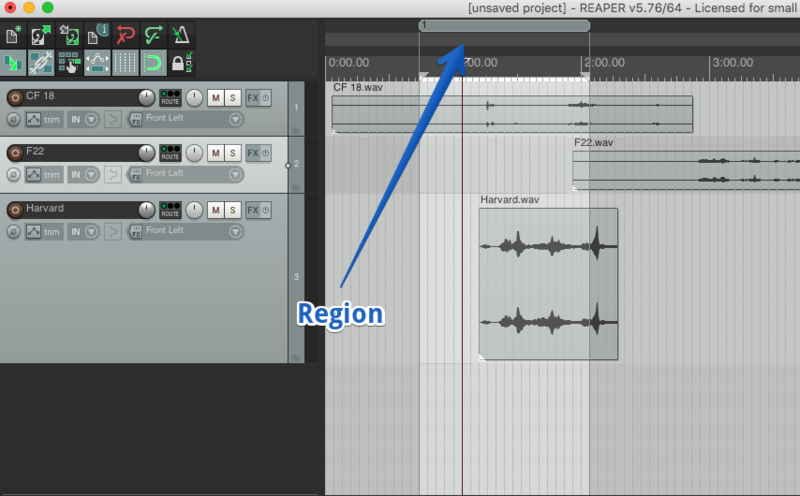 Regions are similar to markers in that they are a way to label areas of your project. They don’t mark a single point on your timeline, though. Instead, they mark a span of audio. They also have some very cool bonus features, too. To create a region, select a span of audio and select the Item/Region menu item or type Shift-R. You’ll see a span of audio marked at the top of the edit window. Edit the region by right-clicking it and selecting the “Edit region…” menu item. You can assign it a name, change its ID number, and color. This helps you label scenes (“interior POV police car”, “exterior POV police car”), character dialogue, or parts of a song. Click-hold on the edge of the region and drag it to change its length. Remove it by clicking it while pressing the Option key. Click the region to select all audio beneath it. Click-hold and drag the region to move all audio beneath it. This is a powerful way to move entire blocks of audio without tediously shift-clicking and dragging every media item. Click-hold and drag the region while pressing Command to move a copy of all audio beneath the region. You can render or export just the audio in regions you’ve created via the File/Render… menu item and selecting “Region Render Matrix” from the Source drop-down menu at the upper left. Of course, all these tricks are done when working with the regular project window. Reaper has a few bonus tricks for working with markers and regions, too. What are they? View all markers and regions by selecting the View/Region/Marker Manager menu item or by typing Command-Option-Shift-R. This displays an overhead list view of all your regions and markers. You can choose which type to display by ticking the “Regions” or “Markers” checkbox in the upper right. Whichever your choice, you’ll see each of them display in a list. This is an easy way to edit your markers and regions. Double click the color, number, name or times and edit the info. Changing info here is quicker and more precise than clicking individual markers or regions. As a bonus, double-clicking any region in the list will immediately bring that region into view and select it. Markers and regions are underrated features that hide a lot of power. Markers help label your work so you can easily spot and navigate through your projects. Regions do the same with a special bonus: they also you to select, copy, and move groups effortlessly. Hadn’t used them before? You wouldn’t be alone. Like many things with Reaper, powerful tools are revealed with just a bit of digging. Take some time to drop markers, set up regions, label them both, and you’ll find yourself editing more swiftly and accurately.